Written by Krista E. Wiegand. On July 4, China conducted another incursion of coast guard ships passing into Japanese waters in the East China Sea. In this case, the vessels passed through a contiguous zone, somewhere between 12-24 nautical miles from one of the disputed Senkaku/Diaoyu Islands. Japan’s response was to file a protest of illegal entry into Japanese waters. Japanese Chief Cabinet Secretary Yoshihide Suga asserted that the islands are part of “Japan’s inherent territory in terms of history and international law,” remarking that the intrusion was “extremely deplorable and unacceptable.” A similar incident occurred on June 25, and so far 13 total such incursions have occurred in 2018. If the Senkaku/Diaoyu Islands are sovereign Chinese islands, as the Chinese government asserts, then China was just operating in its own waters. But given Japan’s long-standing control of the islands, it is fairly obvious that the vessels were operating with the goal of asserting the claim of sovereignty. If the islands are indeed legally Japanese islands, as the Japanese government asserts, then Chinese ships still have the right to pursue “innocent passage,” entering into Japanese waters. This includes passing through the 12 nautical miles of the territorial seas around the islands, the contiguous zones that comprise an additional 12 nautical miles, the EEZ, and the continental shelf zone, which can extend out hundreds of miles from the islands – as long as no exploration or exploitation of natural resources occurs. Legally, any ship that passes through any island’s waters – territorial waters or not – is allowed to do so based on the rights and jurisdiction of any state, including military vessels, as laid out by the 1982 UN Convention on the Law of the Sea (UNCLOS). If one looks purely at this right of China to pursue innocent passage, then the passage of Chinese ships around the islands would not be considered “incursions,” especially if the ships pass outside the territorial seas of rocks in waters that are essentially open that no one owns. Therefore, Japan’s protest could be considered irrelevant since Chinese ships are allowed innocent passage in these waters. But this is not at all the case. Japan’s position is that China is not allowed innocent passage in Japanese waters because China has violated Article 19 of UNCLOS by threatening sovereign rights of Japan’s ownership of the islands, which is “prejudicial to the peace, good order, and security” of Japan. This assumes of course that both Japan and China are following UNCLOS laws. Both states are parties of UNCLOS, but as demonstrated by its lack of participation and enforcement of the South China Sea arbitral ruling in 2016, China is inconsistent with its compliance with UNCLOS. Politically, Japan interprets these Chinese activities in the East China Sea as incursions, deliberately pursued by China as costly signals that demonstrate resolve to Japan and the international community about its claim of ownership of the disputed islands and waters. It is probably not coincidental that Chinese coast guard ships conducted passage through the contiguous zone off one of the disputed islands when Japan announced it will participate in a FONOP with Australia and the U.S. in the South China Sea with a helicopter carrier for the second year. In the East China Sea, Japan’s strategy has been primarily to pursue self-restraint regarding the militarization of the islands. But until the dispute is resolved, Chinese and Japanese ships will continue to either travel in their own waters, pursue freedom of navigation, or pursue incursions, depending on which state’s view is taken and whether UNCLOS is referenced, or another international maritime law is referenced. China has a bad reputation in the international community when it comes to UNCLOS. Legally, China did have the right to not participate in the arbitration brought against it by the Philippines since such arbitration was not compulsory. But politically the broad impression in the international community was that China thought it would lose the case. Therefore, China avoided participating in the arbitration and in complying with the ruling. Legally, China can say the islands in the East China Sea are Chinese based on a historic title, using international laws outside of UNCLOS. As a party to UNCLOS, China is obligated to UNCLOS, but China also has the right to claim rights covered by other international laws. Politically, this makes it look like China is conveniently avoiding UNCLOS in the East China Sea since there is no reference to a historic title in the Convention. In some issues, China cites UNCLOS, such as with reference to the Arctic, but in other issues, it is conveniently ambiguous about the legal justifications for claims such as the nine-dash line in the South China Sea, which is inconsistent with UNCLOS. China cannot have it both ways though. UNCLOS is a package deal – take it all or leave it all. States cannot pick and choose when it is convenient to cite UNCLOS sometimes and other international laws at other times. This is especially important since China has a significant interest in freedom of navigation for its ships based on rights provided by UNCLOS. 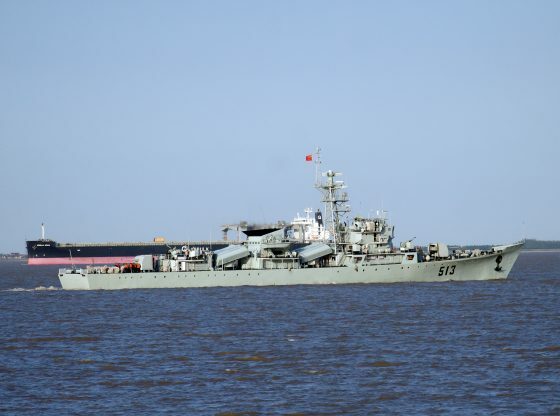 The only way that the PLA Navy can effectively maintain a blue water navy in the high seas of the Pacific Ocean, as it intends, is to pass through other countries’ EEZs. This means that China should be promoting UNCLOS so it can promote its own freedom of navigation. An expected strategy would be for China to follow UNCLOS laws, not only for the East China Sea, but more broadly for access to the high seas of the Pacific. There is no foreseeable solution to the Senkaku/Diaoyu Islands dispute, especially while China plays the game of picking and choosing from UNCLOS. At the same time, as long as Japan denies that a dispute even exists in the first place, no resolution mechanism is possible. In the meantime, the two adversaries will continue to pursue bilateral talks about joint development of resources in the sea, trade, and the Belt and Road Council, and China will continue to send ships into the East China Sea, risking clashes with Japanese forces. Dr Krista E. Wiegandis Associate Professor at the Department of Political Science and Director of the Global Security Programme, Howard H. Baker Jr. Centre for Public Policy, University of Tennessee. Image Credit: CC by Charles W Clark/Flickr. Recent Sino-Japanese Relations: How Long Will the Thaw Last?